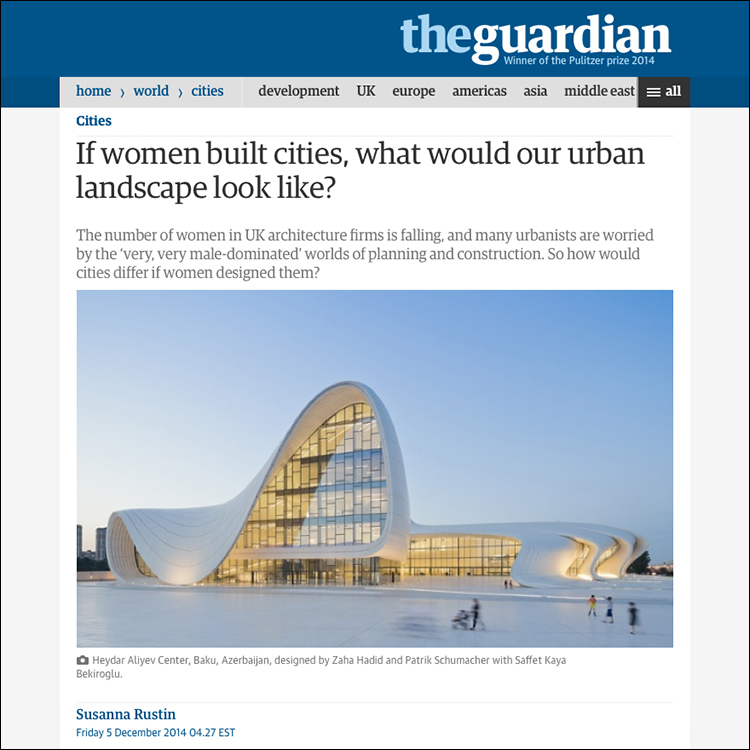 “If Women Built Cities, What Would Our Urban Landscape Look Like?” by Susanna Rustin from The Guardian on December 5, 2014. 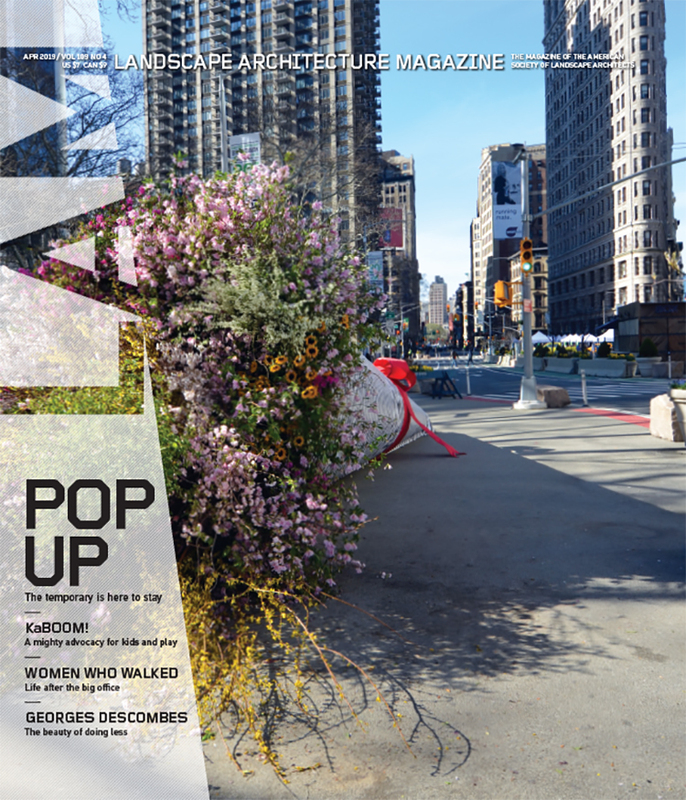 Every year LAM honors two articles that stand out in the realm of landscape architecture with the Bradford Williams Medal—one that has appeared in LAM, and one from outside the magazine. For the 2015 medals, articles from the 2014 calendar period were nominated by LAM’s Editorial Advisory Committee and then were narrowed to two winners from the nominees. Earlier we announced Mimi Zeiger’s “Fresno v. Eckbo” as the winner for an article in LAM, from December 2014. 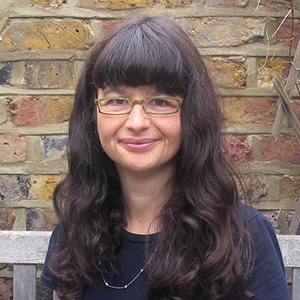 Today we’re proud to announce Susanna Rustin, a feature writer at The Guardian, as the winner for an article outside of LAM for her December 2014 story “If Women Built Cities, What Would Our Urban Landscape Look Like?” Rustin’s article focuses on the need for diversity, particularly women, among those who shape the human environment. The Bradford Williams Medal is awarded to two outstanding articles in landscape every year. 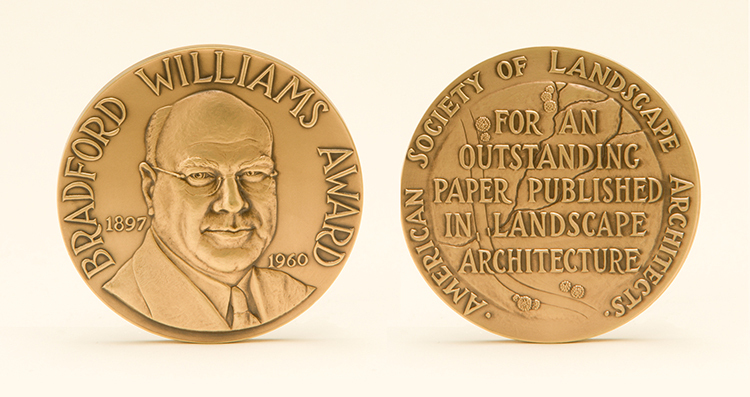 The medal’s namesake, Bradford Williams, was an editor and publisher of LAM in its earlier days when it was Landscape Architecture Quarterly. 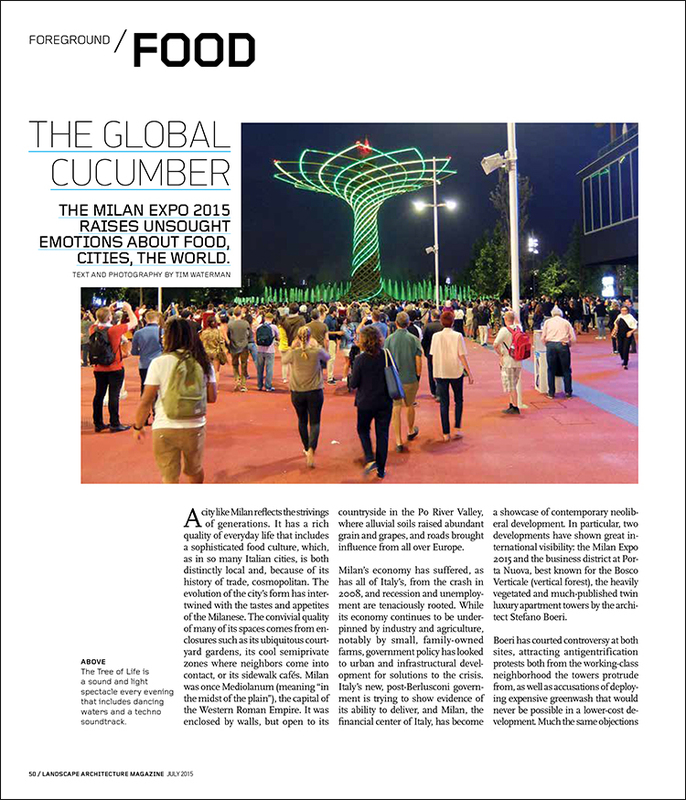 The medal was named to honor his contributions to the magazine and to ASLA. A list of past winners can be found here. The medals will be presented at ASLA’s 2015 Annual Meeting & EXPO on Monday, November 9 in a ceremony at Chicago’s McCormick Place for the ASLA Student and Professional Awards. Great writing about landscape architecture and related topics should be celebrated, and one of the ways LAM does that is with the Bradford Williams Medal. The medal is awarded every year to two articles, one that has run in LAM and one from an outside publication, that told compelling stories and left us understanding the subjects from the inside out. LAM’s Editorial Advisory Committee nominates articles and chooses winners from the nominees. “Fresno V. Eckbo” by Mimi Zeiger from the December 2014 issue of LAM. This year the medal winner for an article in LAM is Mimi Zeiger, for her story “Fresno v. Eckbo” in the December 2014 issue. 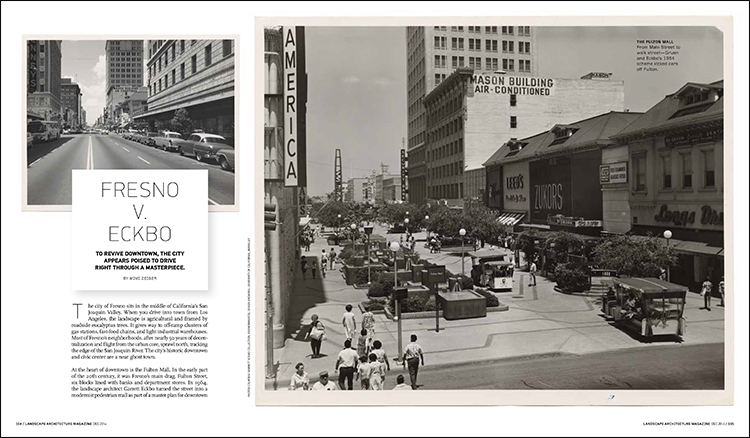 Zeiger focuses on the struggling downtown area of Fresno, and proposed changes to the pedestrian-oriented Fulton Mall, originally designed by Garrett Eckbo, that are intended to revitalize the area at the expense of its design history. Stay tuned for an announcement of the medal winner for an article outside LAM.